" As expected, the Federal Reserve decided to raise its key short-term policy rate this week, lifting the federal funds rate by another quarter of a percentage point to a range of 1.5% to 1.75%. 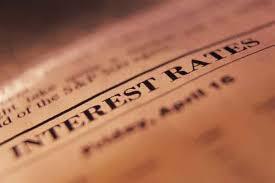 The impact on mortgage rates is negligible, if any, but odds favor some upward pressure on ARMs in the days ahead. Fixed-rate mortgages have little direct relationship to the federal funds rate, responding instead to inflation, economic growth and the expected future path for interest rates moreso than their present stance. The Fed has now raised short-term interest rates six times in this upcycle for a total move so far of about 1.5 percentage points, but it is still an open question as to whether two more increases or three will come this year. With the close of Wednesday'smeeting, updated projections by Fed members suggested nearly an even split in this regard, with 7 members expecting three (or more) more increases, while 8 think just two more (or less) will be the likely outcome for the rest of the year. That more members weren't "hawkish" (that is, favoring higher rates) soothed the markets to a degree, and longer-term rates settled somewhat after these projections were released. That long-term interest rates appear to have at least paused for the moment is important for the spring housing season, now just getting its legs under it. The run-up in 30-year fixed mortgage rates in January through earlier this month added about a half percentage point to where we began the year, and although unwelcome, should not seriously crimp affordability. With a $250,000 loan amount, the difference in monthly payment between an interest rate of 3.95% (Jan 4) and 4.45% (Mar 22) is $71.96 -- not nothing, as the saying goes, but probably not a deal breaker for most potential homebuyers. We don't think that the downdraft in Treasury yields at the end of this week will have all that much effect when Freddie Mac reports next Thursday. At the moment, there is a chance for a small decline in rates of a couple of basis points for fixed-rate products, but that's about all. We'll hedge a bit; call it unchanged with a bias towards a slight decline for the average conforming 30-year FRM Freddie reports next week."